A new treasure for the violin. The manuscript of BWV 1013 for transverse flute is part of a careful and complete collective manuscript containing the Sonatas and Partitas for violin solo BWV 1001-1006 believed to be copied in Cöthen. 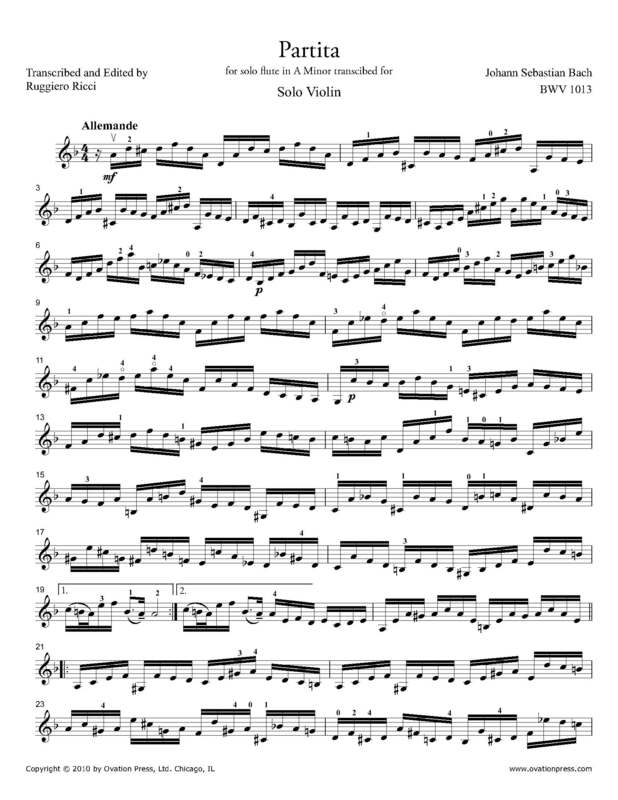 The Allemande from the Partita in d-minor for violin shares a similar structure to that of BWV 1013 for flute. As one of the most popular dance forms incorporated into Baroque music, the allemande is believed to be derived from a German style of dance in which dancers formed a line of couples who then extended their hands forward parading across the length of the room walking three steps and balancing on one foot.